I’m about to go on vacation, but wanted to post a quick link I’ve horded in my bookmarks and haven’t shared yet. The German Bundesarchiv has a wonderful digital media site. Part of this archive shows news footage and other films from the 1940s (and other eras, of course). 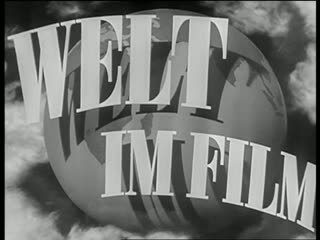 I’ve spent a lot of time watching Welt in Film, for instance, news feature clips on all sorts of topics in Germany and the world in the postwar era. Everything is in German, but even if you don’t know the language, the footage is wonderful for immersing yourself in the era.